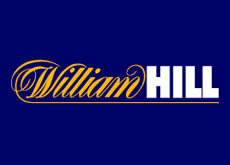 William Hill is a UK-based bookmaker that was founded in 1934 and now has a chain of nearly 1,600 betting shops. Prioritising business in the United Kingdom but not forgoing international revenue growth, the bookie operates in all sports including football, greyhound races and horses. William Hill aims to create a sustainable gambling solution to ensure long-term growth on dividend returns for its shareholders, with focus on responsible gambling as a foundation. William Hill PLC (LSE: WMH) (William Hill or the Group) announces its Interim Management Statement for the 13 weeks ended 25 September 2012 (the period or Q3). All comparisons are with the equivalent 13-week period in 2011 (Q3 2011).